It’s no secret that the worlds of marketing, communications and public relations have become more interlinked. Initially founded as a public relations firm, Jackson Spalding has proudly and strategically evolved to its current standing as an integrated marketing communications agency. What that means to us – and our clients – is that we help brands bring meaningful experiences to life. From helping companies stand out with a distinct logo and visual identity to driving awareness and connections via in-person events, we are invested in providing our clients with the expertise and capabilities that allow their messages to resonate more effectively with their target. 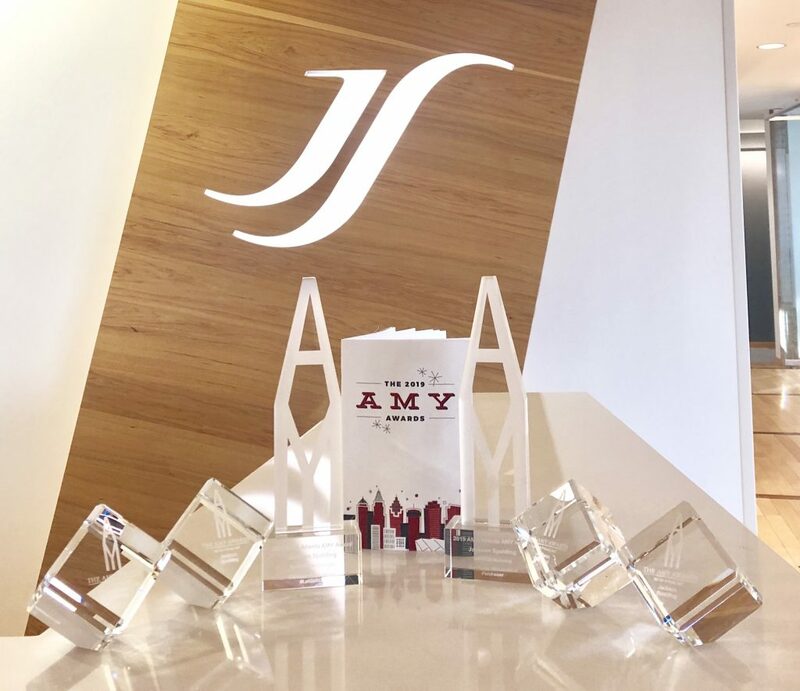 With eight recent ADDY Award wins under our belt for our stellar creative team’s efforts, we were thrilled to be finalists for six AMY Awards, presented by Atlanta’s American Marketing Association chapter. The range of categories in which we were finalists – visual branding, website creative, print advertising, event marketing and more – represents the growth of our agency, roster of talent and ingenuity to come. We took home AMY grand prizes for two of our most emotionally-driven campaigns of last year. Our efforts with Primrose Schools to encourage working parents to #LetGuiltGo was recognized as the best social media campaign, while our work to support the Our House Wheels4Walls and battle homelessness in Atlanta won for best non-profit marketing. To see the full list of honorees, visit this link. As an agency, we look forward to continually embracing the shifting needs of our clients and a full-service approach to communicating.